1 - 20 of 81 entries. 2GlobalMart offers cheap web hosting packages and reliable web hosting solutions for small, medium and large business with mysql, php, apache, asp, linux and iis. Affordable, high quality Web Hosting & Design for Christian business, churches ministries. No hard bandwidth limits! 6,000+ Free Webmaster Resources. Low cost, high quality Web Hosting. No hard bandwidth limits! 24/7 Tech Support. Helping companies become efficient and use technology effectively, without the high cost of managing complex and expensive data systems, software, hardware and networking equipment. Company offers professional world class hosting, ecommerce, and domain name solutions for online businesses. Also offering 24-7 technical support for your convenience. Offers quality cheap web hosting at affordable prices, domain name registration, search engine submission, search engine optimization reports, webmaster software and searchable web directory. Providing affordable web service solutions for small and home based business and ecommerce site owners. BHI's enduring focus on providing Business Internet Services that provide customers with the performance, reliability, and security has built BHI a reputation for service excellence. In addition to high quality hosting and e-mail services, Billy Fire provides web site maintenance and site updates for its clients. Clients simply e-mail changes and Billy Fire does the rest. Bsindia web hostings offers Quality cheap web hosting solutions for Windows hosting, Linux hosting, reseller hosting, ASP, PHP, mySQL, MS SQL hosting. BuyItSellIt Online Stores are online sales web sites, complete with credit card processing, that let you sell your products online quickly and easily. Get reasonable rates on hosting services and domain registration. Affordable, flexible Unix Hosting packages with top notch service and support. Supporting Microsoft FrontPage, PHP, mySQL database. Affordable small business web hosting and domain registration services focused on providing practical educational information to build smarter customers. Web hosting company offering one simple hosting package for small businesses. Company provides 24x7 support, 99% up time. CPWebHosting offer high quality reseller hosting, web hosting and dedicated servers. Easy to use reseller hosting control panel. Providing cheap hosting with frontpage, php, stats, ecommerce and free domain names. Free application for small business owners with free web site templates and mysql database. Professional high quality consulting, technical support, and Internet services to non-profit organizations and small businesses. We provide only selected high-quality domain names and Web hosting services for the entire industry. 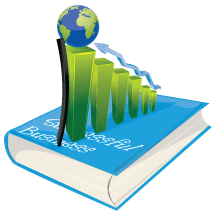 Our hosting and resources will help your business become profitable.